Thousands of working people from across Ukraine on Wednesday held a protest rally in Kiev to demand better living standards, higher wages and welfare benefits. 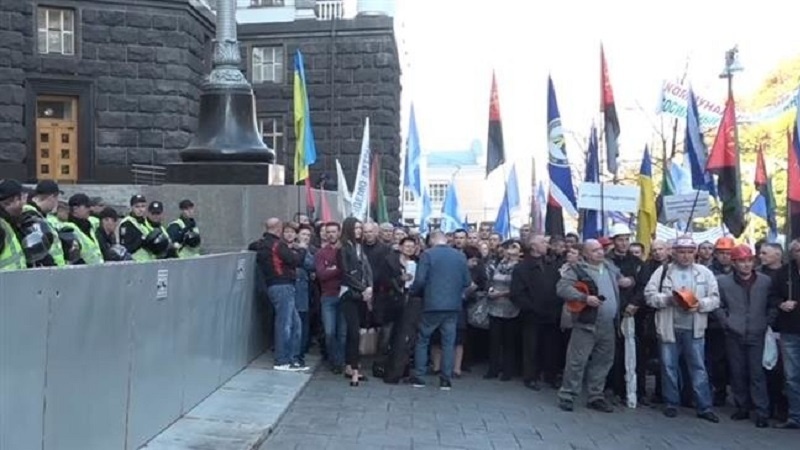 According to Press TV, the gathering was organized by the Federation of Trade Unions of Ukraine in front of the country’s government building. The demonstrators’ main demands included unchanged prices for goods, fuel and transportation services, as well a minimum wage of at least $275 (€238) beginning in 2019. They also called for reduced utility tariffs which have dramatically increased since 2014. The Ukrainian protesters, from teachers and engineers to doctors and miners, carried banners and flags depicting the trade unions’ logos. The march was dedicated to the International Day for the Eradication of Poverty established by the United Nations in 1992. The protests come as some analysts believe the government of Ukraine is under strict constraints to keep the spending down and maintain market prices on utility tariffs. These are the requirements of the International Monetary Fund which prevents the Ukrainian economy from sliding into default. It is said that the government does not have any fiscal space to increase salaries unless it finds an extra source of money.